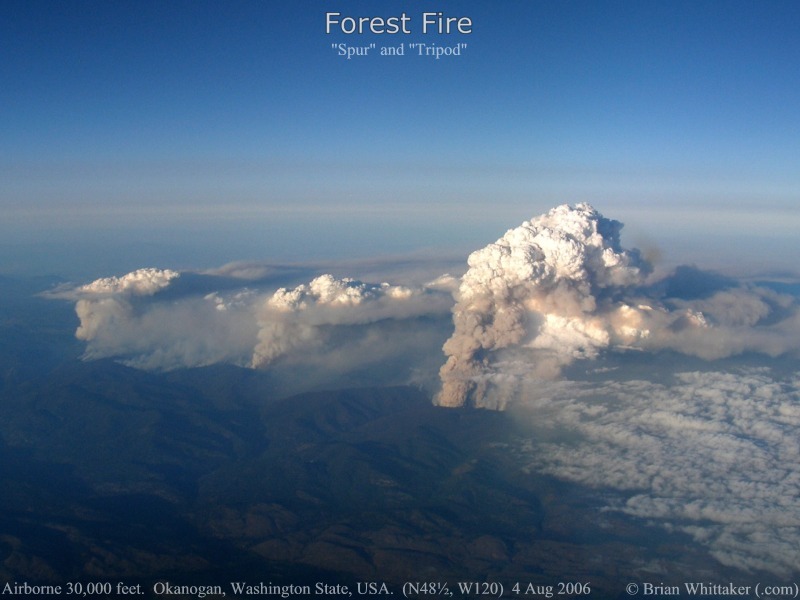 The "Tripod" Forest Fire (and further "Spur" Fire) burn out of control in the Wenatchee National Forest of the American Okanogan in Washington State, USA (N48.5, W120). 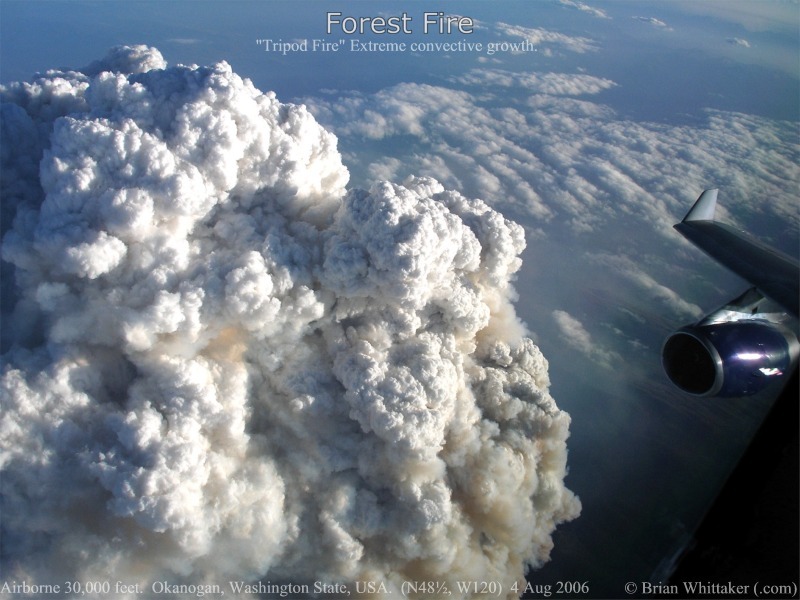 These fires appeared very dramatic due to the absence of other cloud and the extreme convective conditions at this moment. By 7:25PM (Local Time) the "Tripod Fire" was actively building a smoke plume well in excess of 20,000 feet by heat, in part, by the crowning of mighty coniferous trees seen in this photograph [800x600]. Below was a team of hardy and brave fire fighters trying to control this impressive sight. 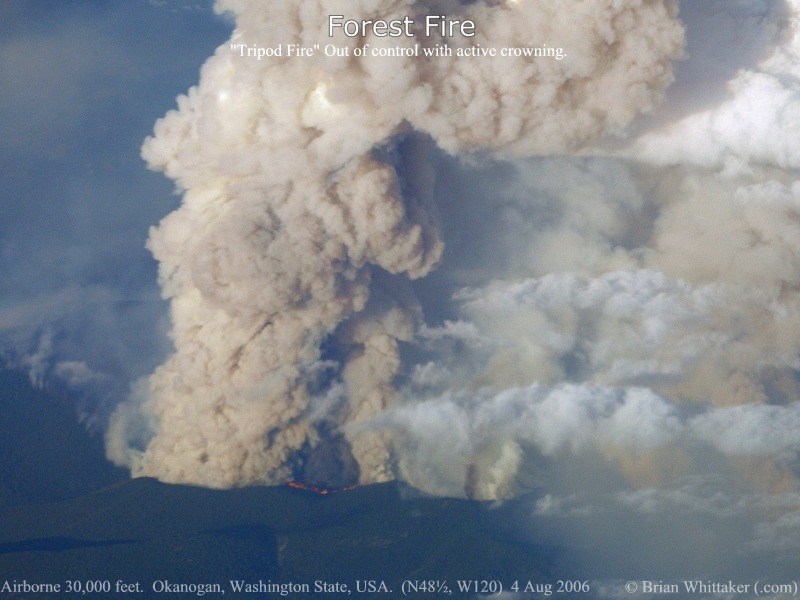 More Tripod Forest Fire information can be found at the US Forest Service Incident site. [More]. 7:25PM Pacific Daylight Time, Friday 4 Aug 2006.